With devastating hurricanes hitting the Caribbean islands and southern United States, massive wildfires displacing thousands in northern Manitoba and British Columbia and catastrophic flooding in India and Bangladesh killing more than 1,200 people, many Canadians are understandably anxious about what’s to come. Climate scientists have long warned that the intensity, duration and frequency of extreme weather events will be greatly exacerbated in coming years and decades. 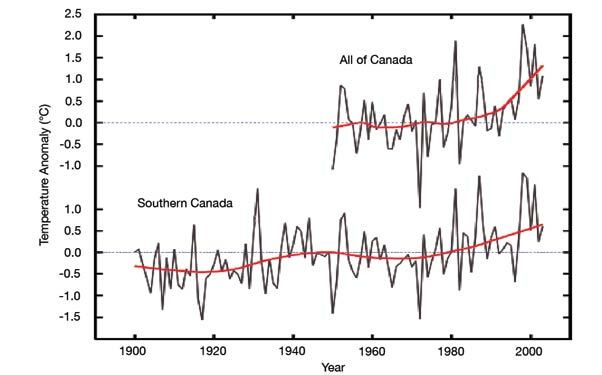 Yet Canada, which warmed at about twice the global average between 1948 and 2007, is still almost entirely unprepared for the impacts of those events, according to experts. “Generally speaking, Canadian cities are not prepared for increasing disasters due to climate change,” Nirupama Agrawal, associate professor of disaster and emergency management at Toronto’s York University, told DeSmog Canada. The window for affordable preventive action is rapidly closing. The National Round Table on the Environment and the Economy estimated in a 2011 report that every dollar spent now on adaptation will result in $9 to $38 worth of avoided damages. This also applies to wildfire prevention. The Canadian Forest Service has significantly cut staff numbers in recent years, with less than eight per cent of the service’s research money directed to fire research. Mike Flannigan — professor of fire management systems at the University of Alberta — also stressed in a recent article for Huffington Post that Canadian fire science has been underfunded for decades. As noted in a 2016 federal auditor general’s report, the six previous years of funding from the federal Disaster Financial Assistance Arrangements (released to provinces and territories after a large-scale and costly disaster has happened) had far outweighed the previous 39 fiscal years of the program’s operations. Canadian climate mitigation and adaptation experts are most concerned about flooding — it kicks off almost every conversation with people concerned about the subject. “Despite numerous floods in the past 20 years, I don’t see much progress in preparedness of Canadian cities,” Agrawal said. There have been small improvements, usually administered in the wake of a disaster. High River, just south of Calgary, has spent $400 million since the 2013 floods to upgrade sewer lines and build barriers between the river and town. In addition, Calgary has invested $150 million in flood mitigation measures, with another $92 million from the province. But it’s still not nearly enough. The $432-million Springbank dam, designed to protect Calgary from the Elbow River overflowing and flooding, is mired in controversy and may not be finished for a decade. In addition, Calgary continues to rely on TransAlta’s Ghost River dam for protection from the Bow River — but it would only remove some 20 per cent of the water quantity that hit Calgary in the 2013 floods. To be sure, the actual emergency preparedness and response to flooding is often quite good, with high scores given to most provinces reviewed in a recent report by the University of Waterloo’s Intact Centre on Climate Adaptation. In addition, the federal government recently made a $40 million investment for the National Research Council to update the building code to prepare new buildings for climate change. In other words: Canada is relatively ready to respond to catastrophes, but not to prevent them in the first place. “There’s a misguided focus on short term strategies, such as response, rather than long-term focus on loss prevention measures,” Agrawal said. There are a number of key failures on this front, including a lack of home-adaptation audit program, limited availability for overland residential insurance and ancient stormwater drainage infrastructure. Perhaps the most shocking is Canada’s lack of up-to-date floodplain mapping, used to predict where waters will reach in the case of various levels of flooding. In 1996, the federal Liberals shuttered Environment Canada’s Flood Damage Reduction Program. The country hasn’t had a sustained floodplain mapping program since. That means that we don’t really know which homes and buildings will be hit. Instead of acquiring vulnerable properties and converting them into wetlands and parks that help enhance flood resilience, many cities have effectively ignored the very existence of the problem and allowed continued development in floodplains. There’s a bizarre financial incentive to this too. While some cities and provinces (such as Toronto and Newfoundland) have embarked on floodplain mapping on their own, it’s been conducted without any federal standards or guidelines. That leaves only 65 per cent of Canadian residences mapped, with 50 per cent of current maps without updating since 1996. In March, Public Safety Minister Ralph Goodale announced the federal government would restart the process of floodplain mapping with the private sector, but it’s unclear what that will specifically look like. That makes it very tricky to plan for natural infrastructure like wetlands and artificial infrastructure like diversion channels. It’s also a very costly form of ignorance: for example, the Manitoba Red River Floodway (which cost only $63 million to build) has saved Winnipeg over $40 billion in flood damages. But there’s a flipside to that kind of highly successful water management strategy. That’s water geek talk for: we’re going to get hit with both floods and droughts. Instead, he recommended that governments should be planning to retain water in small-scale storage facilities to minimize flood risk downstream while ensuring that water is available in times of drought. In the aftermath of the brutal Dust Bowl of the 1930s, the Canadian government established the Prairie Farm Rehabilitation Administration, which later became a branch of Agriculture Canada, to build small water retention structures across the Prairies. The entire point was to promote water security, flood risk reduction and drought risk reduction. In 2013 — the same year that it shut down the renown National Round Table on the Environment and the Economy — the federal Conservatives dismantled the Prairie Farm Rehabilitation Administration. At heart of many of these issues is an apparent unwillingness by governments to spend money now to receive significant gains later. Seriously addressing climate change will mean a renewed commitment to slashing greenhouse gas emissions via a rapid transition to low-carbon electricity generation, building heating, transportation and industrial processes. While emissions trends for many sectors are stabilizing or curving downwards, fossil fuel megaprojects such as Alberta’s Athabasca oilsands and liquefied natural gas export terminals on the West Coast will likely prevent Canada from coming remotely close to meeting its international climate commitments. Growing concern about climate change has meant those projects are hotly contested by the general public. At the moment, the federal government is starting to implement significant greenhouse gas reduction policies including a mandatory carbon price, coal phase-out, now-delayed methane reductions, net-zero building codes and zero-emissions vehicle strategy. That’s not the case with climate adaptation. In the 2017 federal budget, the government allocated $2 billion for a Disaster Mitigation and Adaptation Fund. While that might seem like a lot, the investment will be spread out over 11 years. That translates to a meagre $181 million per year. It appears beyond clear that mitigating and adapting to the new realities of climate change will require massive direct investments by every level of government, as well as entire fleets of expert panels, public consultations, educational campaigns and cabinet talking points. Based on recent precedents, such a response doesn’t seem particularly likely.